Athletics Kenya have announced the establishment of an Oversight Committee as they seek to tackle the spate of doping cases involving their athletes. The International Association of Athletics Federations (IAAF) included the distance-running superpower on a list of nations most at risk of doping. It came as part of new regulations by the IAAF Council which put more responsibility on National Federations to deal with the problem. Kenya and Ethiopia were among four countries included in Category A - member federations the IAAF believe are most likely to have doping problems - along with Belarus, hosts of next year's European Games, and Ukraine. Athletes from these countries selected to compete in major events will have to undergo at least three out-of-competition doping tests in the ten months before a World Championships or Olympic Games. Category B includes the other member federations who are competitive at international level. Category C includes federations with very few international-level athletes. Category A and B federations will be required to ensure athlete drug-testing plans are submitted to the IAAF before each World Championships or Olympic Games. Athletics Kenya said it was a requirement from the IAAF to establish an Oversight Committee to help tackle the issue. They said eight organisations will be part of the Committee, including Kenya's Directorate Criminal Investigation, the Ministry of Health, the Inspector General of Police and the Ministry of Sport. Kenya's Immigration Department, the Council of Governors, the Media Council and the Ministry of Education will also be part of the Committee. "As a country, maybe we need to go further," said Athletics Kenya's President Jack Tuwei, according to KTN News. "We have talked about this, we have discussed, we have educated and they have been punished by the right authorities, but we are still having this problem. "This oversight team should be able to assist us and say the best way of going forward." 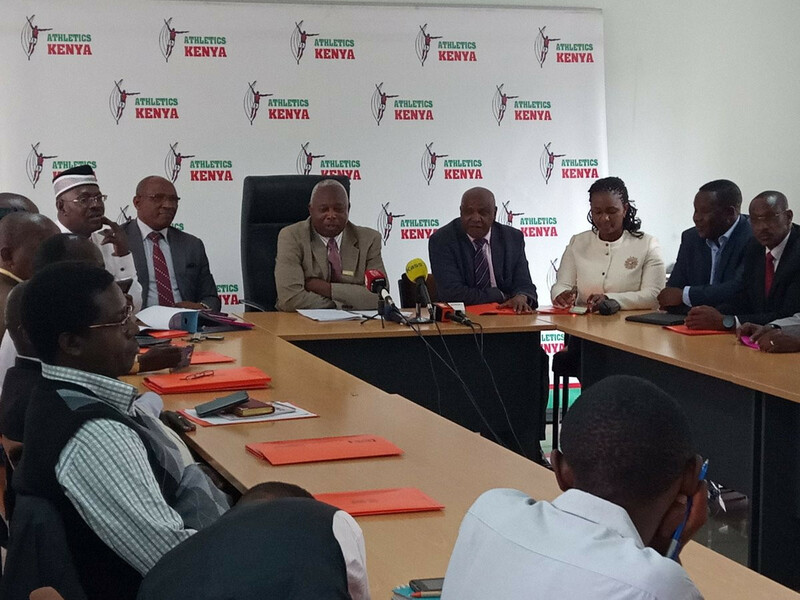 According to Athletics Integrity Unit figures, there are currently 18 Kenyan athletes currently serving suspensions for doping offences. Among those are three-time Boston Marathon champion Rita Jeptoo and Jemimah Sumgong, the Olympic marathon gold medallist at Rio 2016. Reigning Olympic steeplechase champion Ruth Jebet, who now represents Bahrain but continues to train and live in Kenya where she was born, has also been suspended since February following an EPO failure. A further five Kenyan athletes are currently serving provisional suspensions. This includes World Championships 800 metres bronze medallist Kipyegon Bett, who was suspended earlier this month after allegedly evading a drugs test. He followed Athens Marathon champion Samuel Kalalei, distance runner Lucy Wangui Kabuu and sprinter Boniface Mweresa in being charged with anti-doping rule violations. A case is also pending against three-time world champion and Beijing 2008 Olympic gold medallist Asbel Kiprop, after he tested positive for EPO in an out-of-competition test in November 2017.